Fri 15th September 2017 8pm with a launch gig at The Brunswick, Brighton. Cory Flynn is a talented young singer-songwriter and musician from Brighton. His songs are folk/country/blues with an edge and a style heavily influenced by Bob Dylan, Johnny Cash and Hank Williams and others. His songs feature just his distinctive voice, acoustic guitar, and sometimes keyboards. He produces a driving rhythm and flatpicking style on his guitar, and has a blues approach to piano. 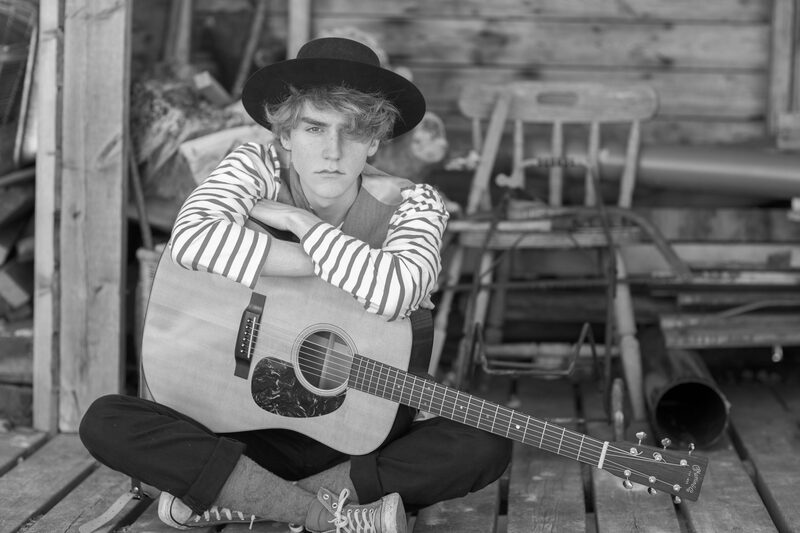 Cory’s songs tell stories in a very original way displaying an insight, intellect and humour far beyond his age of 17 years and he’s attracted praise for his inventive use of language. His lyrics invoke his heroes Dylan and James Joyce, but also refer to his love of modernist poetry (Eliot, Pound) as well as his fascination of the myths of the Ancient World. Remarkably Cory has already been playing live for nearly 6 years, both solo and in bands, in clubs and at festivals locally in Sussex as well as occasional gigs in London and Paris. Whether seeing him live or just listening to his music audiences have expressed they’re left thoughtful and moved at the intensity and dark humour of his songs.